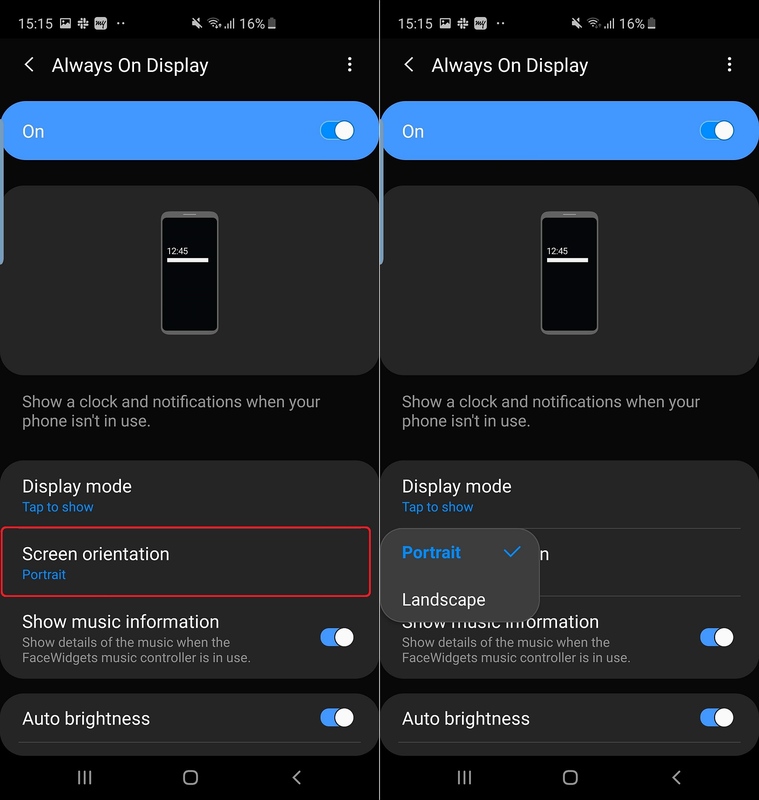 The Galaxy S10 comes with an option that lets users change the screen orientation for Always On Display (AOD). Samsung’s latest flagship was the first to come with One UI 1.1 out of the box, and compared to One UI 1.0 that we find on every device that was updated to Android Pie from Android 8.0 Oreo, One UI 1.1 comes with a couple of big new features such as Digital Wellbeing and Bixby Routines. Some minor changes and improvements to existing features are also included, like the ability to use Always On Display in landscape orientation. 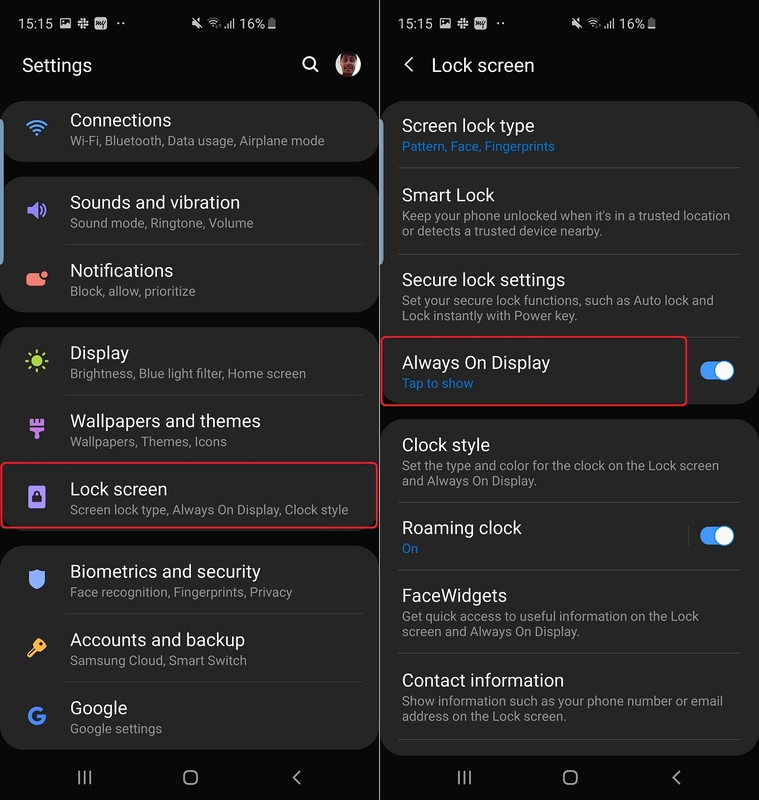 On the Galaxy S10, along with devices like the Galaxy A30 and Galaxy A50 that run One UI 1.1, you can select the screen orientation for Always On Display from the feature’s settings. The option is a bit limited: You can only select between landscape and portrait and the system-wide screen orientation setting doesn’t apply to Always On Display. But just being able to select between portrait and landscape should come in handy for many users and in specific instances, like when you’re in bed with the phone lying next to you or the phone is being charged on a wireless charger in the horizontal position. So how do you change the screen orientation for Always On Display? It’s easy as pie (no pun intended) if you follow the steps laid out below. Step 1: Open the phone’s Settings app from the app drawer. Alternatively, swipe down from the top of the screen to access the notification shade and tap the gear icon on the top left to enter the phone’s settings. Step 2: Here, tap Lock screen, then tap Always On Display to go into AOD settings. Step 3: Scroll down a bit to find the Screen orientation option. Tap on it and then select Portrait or Landscape depending on which orientation you prefer. That’s it. The next time you need to change orientation for AOD, just double tap on the AOD display and tap the rotation icon. Of course, you can also switch it from the settings as described in the steps above. For more on how to get the most out of your Galaxy S10e, Galaxy S10, or Galaxy S10+, check out all of our Galaxy S10 tips here. We’ll keep adding more tips as time goes by, so you might want to bookmark the page as well. Having issues with following the instructions above? Leave a comment and we’ll do our best to help you get back on track. Why you discovered this function so late ? They should add automatic rotation function. its just not for S10 its for all one ui phones. I have this option in Samsung a50 too. 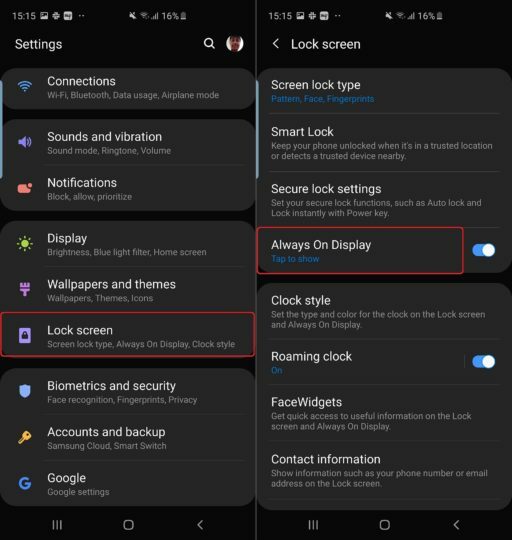 You’re wrong, on my S10 I can double tap on the clock and there’s an option to change the orientation of the AOD from there. Sorry, missed that! Have updated the article. Do we really have to wait for Q for S9 users to get this? Or is OneUI 1.1 coming to us sooner? its OneUI feature probably coming to s9 too cause here in india s8 also get OneUI in latest pie update.